And for your stay choose Autohotel! The Festa della Sensa (The Ascension Day Festival) was a public feast celebrated in the Venetian Republic on the occasion of the day of the Ascension of Christ. It commemorates two important events for the Republic: one on May 9 in the year 1000, when the Doge Pietro II Orseolo came to the rescue of the people of Dalmatia, threatened by the Slavs, and the second event, which took place in 1177, when, under the Doge Sebastiano Ziani, Pope Alexander III and Emperor Frederick Barbarossa signed in Venice the peace treaty that put an end to the age-old dispute between the Papacy and the Empire. 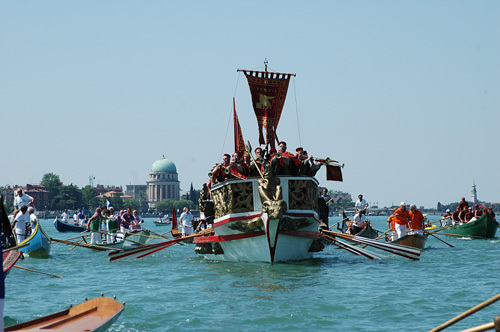 On the occasion of this festival was held the ceremony of the Wedding to the Sea: the Doge, on the Bucintoro (Bucentaur), reached St. Elena off San Pietro di Castello. The Bishop was waiting for him here, on board of a boat with gilt sides, ready to bless him. 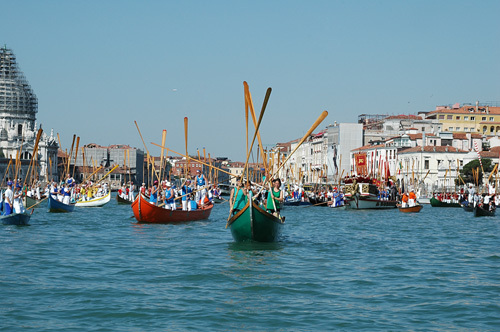 The Festival ended with a kind of propitiatory rite: the Doge, once reached the Bocca di Porto (Port Inlet), threw a gold ring into the waters. Thanks to the activity of the Comitato Festa della Sensa (Festa della Sensa Committee), since 1965 Venice has begun to celebrate this event again with a water parade of traditional rowing boats from San Marco to Lido, organized by the Coordinamento delle Società Remiere di Voga alla Veneta (Coordination Center of the Venetian Style Rowing Clubs), led by the “Serenissima” boat on which the mayor and the other authorities take their places and from which is still celebrated the rite of the Wedding to the Sea with the throwing of a ring in the water. The programme is completed by the Sensa Market at the Church of San Nicolò on Lido, by the Venetian style rowing races and by many other events. Appointments on Saturday 11 and Sunday, May 12, 2013. 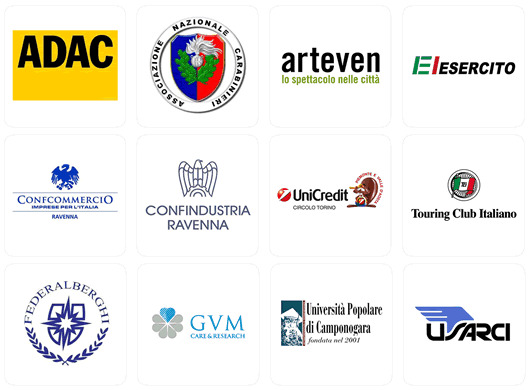 And for your stay choose Autohotel, the budget hotel ideal as a base for a trip to Venice!